We really like working with new businesses and have worked with dozens over the years, helping them with their launches, making sure they get the key parts of their brand and communications right, from the word go. But we know new businesses, especially smaller ones, often struggle to finance all the different aspects of their business, stock, premises, staff etc., so much so that crucial elements like branding and marketing either get done badly, or not at all. Which can be a recipe for failure. So with that in mind, we have packaged up a level of support that we believe should be accessible to even the smallest of new businesses. A stand out logo to both communicate the company’s values and attract the target market is a must for all businesses. Working from an initial brief and conversation, we will create two unique creative options, both with additional ideas so that there is plenty to choose from. We will respond to the brief and also ensure that the logo helps the company differentiate itself and stand above the competitors in its market. The chosen logo will be supplied as vector EPS artwork, jpeg and also a mono version. Using the logo and brand colours we will create a new, responsive website, using the Tent Flex system that we have developed. 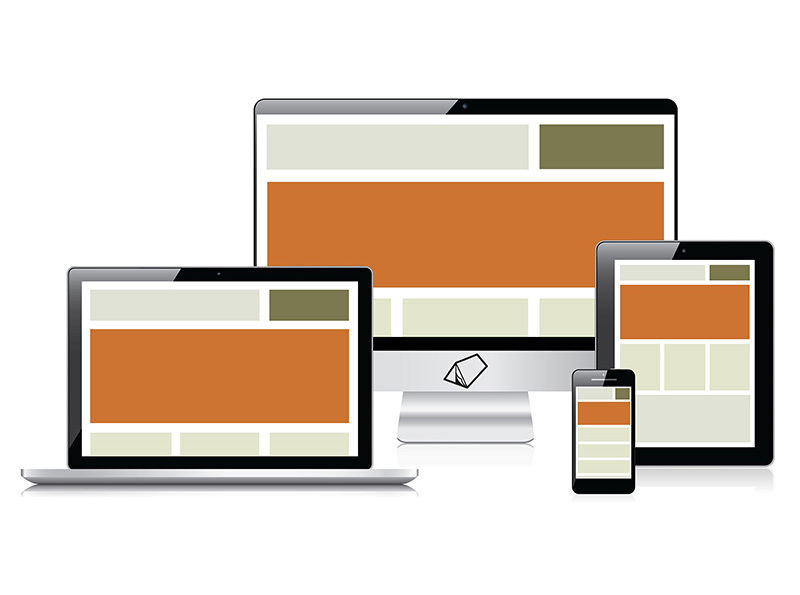 The website will scale beautifully to all screen sizes and page layouts can be chosen to suit the business needs. The website is fully content managed and you will be able to add text and images and make amends in minutes. The site also comes with a complete training and user manual and is so flexible that clients can add and remove sections and pages in the future as well as editing and adding content, meaning that full site management is possible – cutting down on future development costs. We also offer good value, secure hosting if our clients require it. Everyone needs a beautifully designed business card to hand out or to have for people to pick up. Our package includes the design of a two sided business card plus 100 digitally printed cards on high quality 400gsm thick card stock to help create the right impression with potential customers and clients. We can of course arrange a large print run at an additional cost. All businesses will benefit from an expert to guide their marketing activity and with her 23+ years experience of marketing, Sarah at tent can help shape a company’s marketing for the best effect possible, choosing the right tools and actions to raise their profile and win new sales. The content of the sessions are bespoke to the needs of each client. So whether advice, ideas and planning are required for social media, email marketing, networking, events, direct mail or online, Sarah can help. The client can choose 4 one hour sessions or 2 longer two hour sessions to get their business on the right track. In addition, future sessions can be arranged at a preferential rate. So if you, or someone you know, would like an injection of tent magic into their new business venture, you know what to do – just give us a call or send us an email!